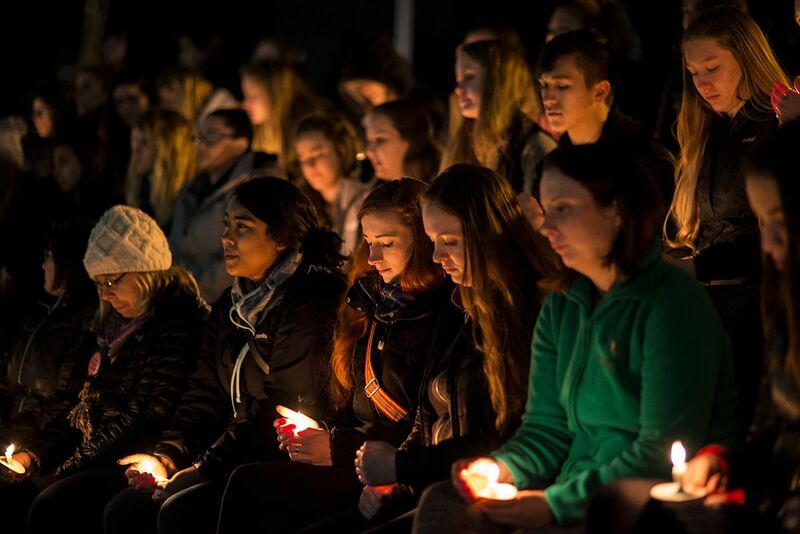 Students gathered at the Erb Memorial Union amphitheater for a candlelight vigil in honor of Nicole Panet-Raymond, a student who lost her life in a skiing accident on Friday, March 2nd at Mt. Bachelor Ski Resort. Those in attendance had the chance to stand before the crowd and share their memories of Nicole. 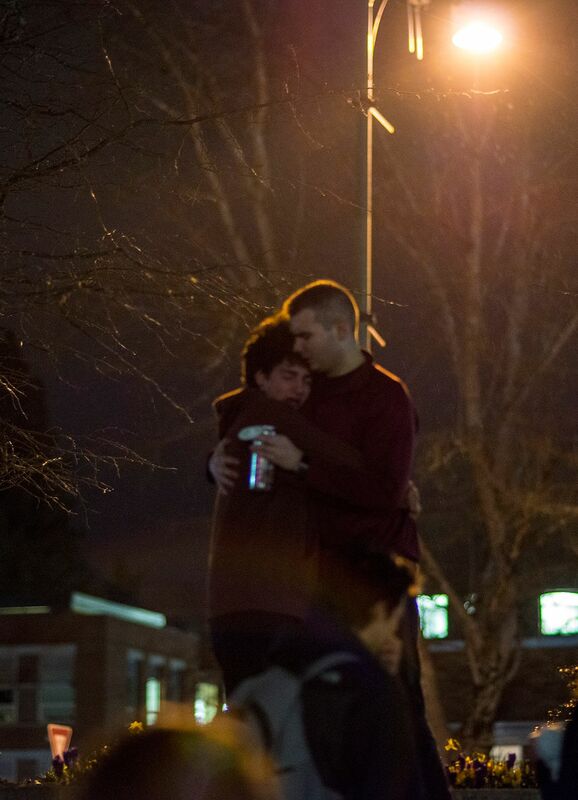 "I think it was a really good opportunity for people to share in their grief and to celebrate her," said Caitlin Roberts, the Director of Fraternity and Sorority Life, the organization who arranged the vigil. 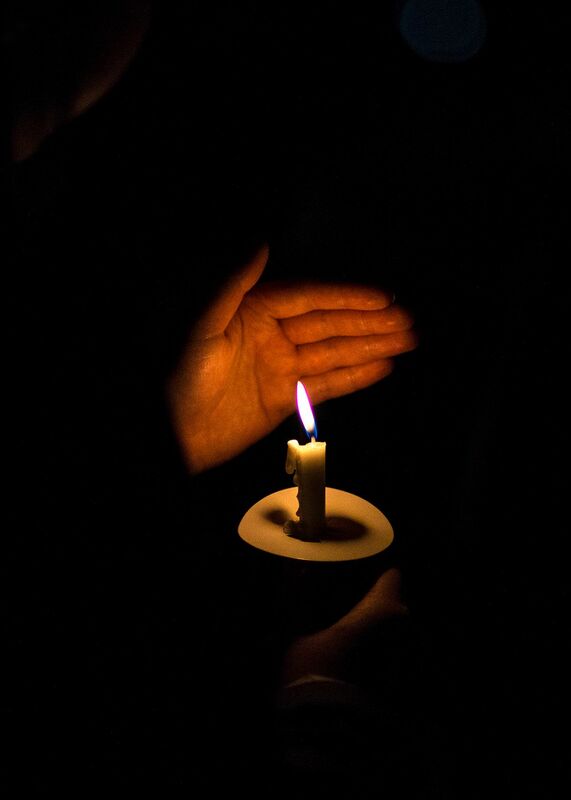 "Unfortunately, we lost another member of our community three weeks ago," said Caitlin. 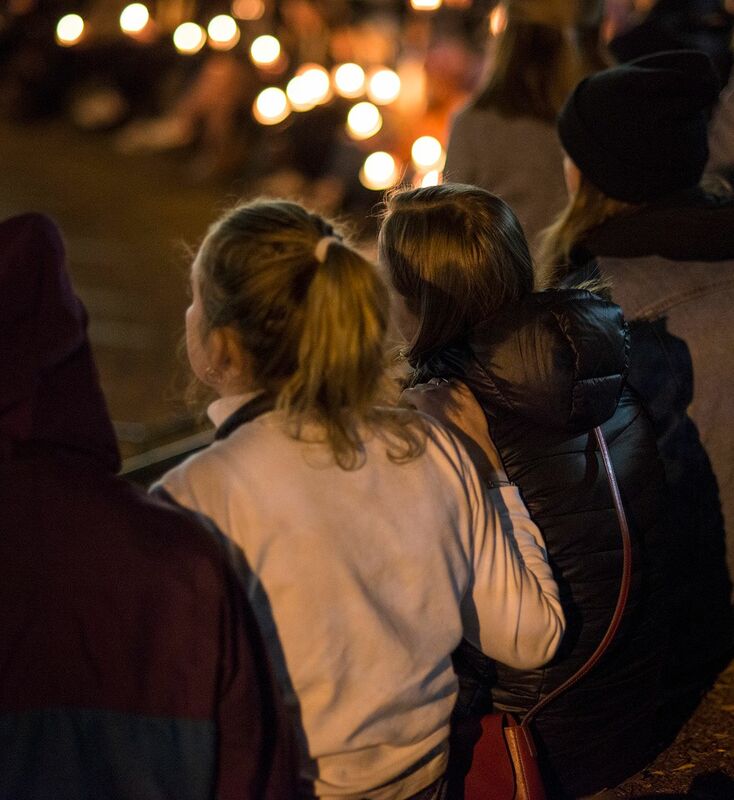 "We had pulled together a candlelight vigil for his friends to memorialize him, so we wanted to do the same for Nicole." 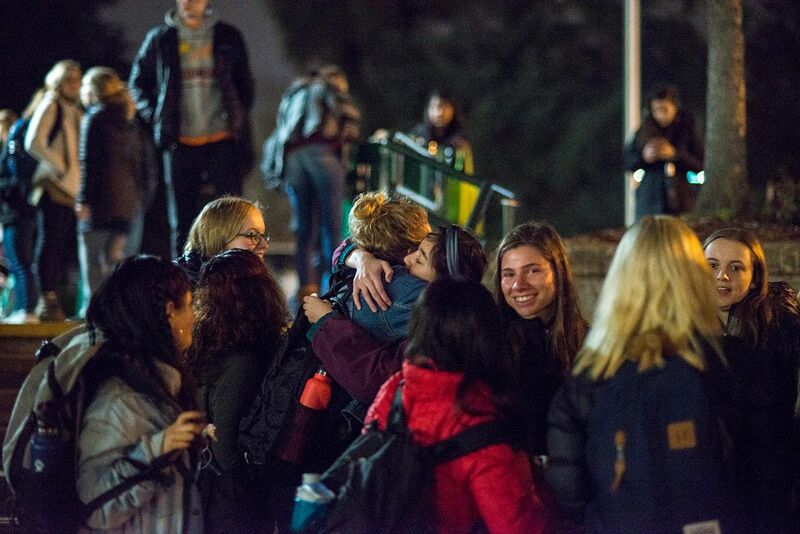 Leah Steindorf, who knew Nicole through Clark Honors College, Gamma Phi Beta sorority and living in Global Scholars Hall, said the most striking aspect of Nicole's personality was her "ability to uplift others." "She was just able to relate to everything I said," Leah said. Nicole was a life-long skier who loved adventure, according to The Register-Guard. She was an international studies and Spanish double-major, with the goal of one day practicing international law.